News | Data is Power. BARDSTOWN, Ky. (April 20, 2018) – Gov. Matt Bevin joined company and Nelson County officials Friday as Takigawa Corp. America broke ground on its $46 million flexible packaging and high-performance films plant expected to create 180 jobs. Takigawa announced in December it would build a 148,000-square-foot facility on an 18-acre greenfield site in Bardstown to keep pace with growing demand from its customers. Construction is expected to be complete in March 2019 with the plant opening in April 2019. The company’s first US operation will primarily provide packaging for national and international product brands. A June meeting at the SelectUSA Investment Summit in Washington D.C. between Kentucky Cabinet for Economic Development Secretary Terry Gill, Executive Officer Vivek Sarin and led to conversations about Kentucky’s suitability as a site for an American facility. Gill and Sarin followed up during a visit with company executives during a December trade mission to Japan. FRANKFORT, Ky. (April 5, 2018) – Gov. Matt Bevin today announced barrel manufacturer Independent Stave Co. will create 220 jobs for Kentuckians with a new $66.5 million cooperage in Morehead. ISC plans to buy land in Rowan County for its cooperage and purchase new machinery and equipment to outfit the barrel-making plant. Strong demand in the bourbon and whiskey industry prompted the new project. Building in Morehead will create production flexibility and logistical advantages. ISC opened a stave mill in Morehead in September 2015, which will supply the new cooperage. Company leaders plan to start the cooperage’s construction in early 2019 and open by July 2021. FRANKFORT, Ky. (March 29, 2018) – Gov. Matt Bevin today announced Fitzgerald Industries II LLC, which manufactures aluminum dump truck beds, will locate in the former Belden Inc. plant in Monticello with a $6 million investment that will create 250 full-time jobs. The company’s $6 million investment will reconfigure the plant and add machinery to cut, form and weld aluminum sheet for production of commercial-grade dump beds for Class 8 trucks. The facility also will form steel parts for use in fabrication of steel dump truck bodies. Tommy A. Fitzgerald, president of Fitzgerald Industries, described his family’s enthusiasm about reopening the once bustling cable wiring plant, which closed last year as the company consolidated North American operations. FRANKFORT, Ky. (March 2, 2018) – Gov. Matt Bevin today announced Blue Grass Metals Inc., a supplier of wire forms to the automotive industry, will expand its operation in Boone County with the creation of 15 jobs via a more than $4 million investment. Blue Grass Metals has been in operation for over 25 years, initially serving the pneumatic tool industry and supplying the automotive industry since 1998. The construction of an adjacent 50,000-square-foot facility in Boone County and the purchase of new equipment will add manufacturing capability to produce wire forms for seat frames, exhaust brackets, frame components, stamping and tube fabrication. FRANKFORT, Ky. (Jan. 25, 2018) – Biotech device maker Hardin Scientific Inc. will locate its new $11.6 million manufacturing and development operation in Green County, a project expected to create 50 full-time jobs, Gov. Matt Bevin announced today. The company will locate in a 40,000-square-foot spec building in Greensburg where it will manufacture T3-i7 Cell-Culture incubators, the first modular and internet-enabled device on the company’s platform. The device enables accurate reproduction of human-like body conditions for tissue culture, stem-cell research, protein expressions and genetics in the research, diagnostic and forensic industries. Founder and CEO Aaron Hardin, a Berea, Ky. native, noted the Greensburg community’s hospitality and the logistical advantages of locating in Kentucky as major factors in the company decision. FRANKFORT, Ky. (Jan. 4, 2018) – Lynx Labeling Inc., which develops and sells custom labeling machinery and software primarily to the meat and poultry industries, will build a $500,000 facility and create 10 jobs in Glasgow, Gov. Matt Bevin announced today. The company also plans to invest $65,000 in equipment and $25,000 in startup-related activities at its new 12,000-square-foot Barren County facility, which will be located in the Highland Glen Industrial Park. The additional space and 10 new full-time employees will allow the company to keep pace with growing customer orders. Lynx plans to break ground in March and finish construction by summer 2018. SHELBYVILLE, Ky. (Dec. 18, 2017) — Shelby Energy Cooperative and Kentucky’s Touchstone Energy Cooperatives are using high-tech tools to help draw employers to a high-profile Shelbyville, Ky., site. The 400-acre Norfolk Southern property, located adjacent to Interstate 64 in Shelbyville, is the latest site showcased on www.DataIsPower.org, which features locations available to commercial and industrial businesses looking to expand or relocate. Videos and detailed data about the property appear on the PowerVision page of the web site. The property features ready accessibility to rail and interstate transportation, as well as the nearby Louisville International Airport and UPS Centennial Hub. 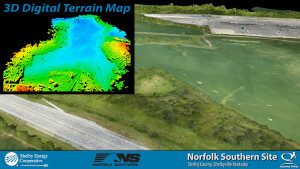 Working closely with Norfolk Southern, which owns the property, the cooperatives used aerial drones to film and digitally map and analyze the land, producing a five-minute flyover video and another video featuring three-dimensional analysis of the site. FRANKFORT, Ky. (Dec. 12, 2017) – Gov. Matt Bevin today announced Federal-Mogul Motorparts LLC, a provider to original equipment manufacturers (OEMs) and the automotive aftermarket, will invest more than $8.68 million and create 25 full-time jobs with an expansion of its operation in Glasgow. Federal-Mogul Motorparts’ investment will cover the cost of construction of a 15,000-square-foot expansion of its existing building and the purchase of new equipment. The facility currently produces drum brake friction for OEMs and the commercial vehicle aftermarket. The upgrades will allow the facility to better serve its customers with the market’s shift to air disc pads. The operation, which currently employs 172 people in Barren County and surrounding areas, is expected to manufacture 1.5 million air disc pads annually. FRANKFORT, Ky. (Dec. 11, 2017) – Gov. Matt Bevin today announced Takigawa Corp. Japan, a flexible packaging and high-performance films producer, will create 180 full-time jobs with a nearly $46 million investment to locate a manufacturing operation in Bardstown, its first in the United States. Takigawa will establish its first US manufacturing operation with the construction of a 180,000-square-foot facility on a greenfield site in Bardstown in an effort to meet growing demand. The operation will primarily serve high-impact packaging for high-impact brands. FRANKFORT, Ky. (Nov. 16, 2017) – Gov. Matt Bevin today announced New Flyer of America Inc. will create up to 550 full-time jobs as it invests $40 million to lease and upgrade a facility for bus parts fabrication in Shepherdsville. New Flyer of America, a US subsidiary of New Flyer Industries Inc. (NFI Group), will build out a 300,000-square-foot facility in Shepherdsville. The $40 million investment includes $28 million for equipment and building preparations and $12 million across a 10-year lease. Company leaders expect to begin work this month and be in full operation by the end of 2019. The operation will support the company’s efforts to boost in-house production of components, which allows New Flyer to create jobs, increase competitiveness and improve its production processes. The facility will provide fabrication and parts to support all three NFI Group business entities: New Flyer, MCI and NFI PartsTM. More than 1 million Kentuckians in 87 Kentucky counties depend on East Kentucky Power Cooperative (EKPC) and its 16 owner-member cooperatives for safe, reliable, affordable electric power. EKPC is owned by 16 electric distribution co-ops located in Central and Eastern Kentucky.